Want to see turtles, fish, and even dolphins swimming amongst rocks and coral undersea? 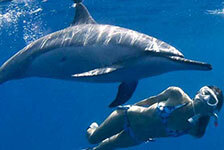 Then you will love the Big Island snorkeling adventures offered here at ReserveHawaii.com. 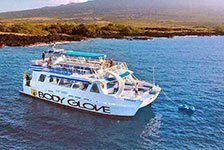 Big Island snorkeling tours allow you to dive into the fun of underwater exploration and may also include relaxing cruises with food and entertainment. 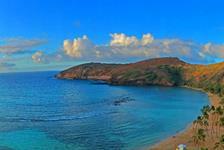 Don’t wait, book your Big Island snorkeling trip today!